In many developing nations, it becomes necessary to handle and make reuse of the green waste due to increasing price and shortage of the fossil fuels. And also, the increasing global pollution through the petrochemicals and other traditional fuels like oil, coal and lignite. 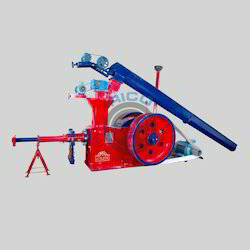 So, we are providing Briquetting press as a solution to all these problems. This Machine use for only Agriculture product. 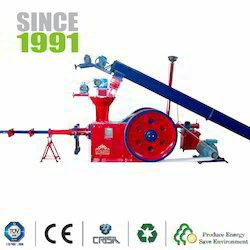 We are well known briquetting machine manufacturer in Gujarat, India since 1991. We manufacture Jumbo 90 briquette press machine and Super 70 briquette press machine that converts all kinds of green biomass waste into high solidity cylindrical blocks of energy. In the world, there is a huge shortage of coal, oil, gas and kerosene etc. and fuel price is very high. At that time Renewable Briquetting Plant Project is working as a key source to generate cheaper bio fuel from agriculture and forestry devastate. This project can fulfil the need of fuel and farmers can earn revenue from this project by selling their agro crops. Such type of plant is very useful to defend the environment. Radhe Group Rajkot has successfully established many Briquetting Plants in India and other developing countries. Since 1991, we are providing the quality services in the field of the briquetting plant. We offer the latest technological briquetting plant at reasonable cost. Our modern technique of manufacturing the bio coal briquettes is environment friendly as our briquetting plant machineries make briquettes without using the binder. Briquette equipment is needed to convert waste from agriculture, industrial and forestry to solid fuel. All briquette machine is enough capable to meet consumers demand. 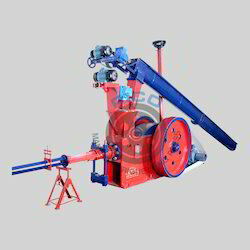 Our company provides wide range of briquetting equipment with excellent quality.